Glenn here with the latest edition of the Mind Over Meniere’s Bulletin! 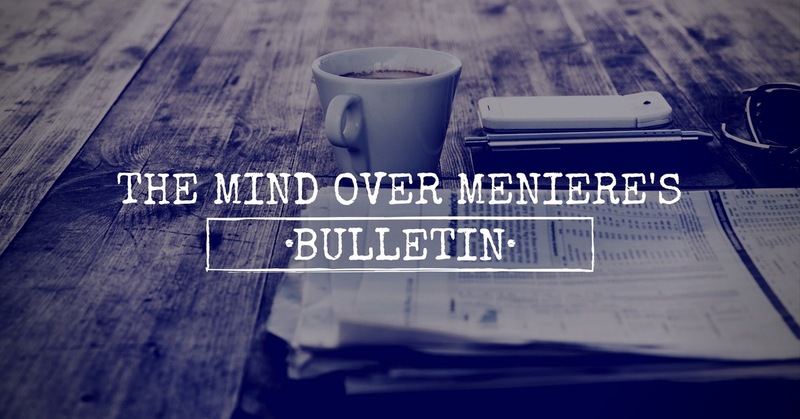 The Bulletin is a new, newsletter style post and my way of sharing all the interesting things that come across my radar – things I think will be of value to the Meniere’s community. Today’s edition is no exception. I hope you enjoy! At the University of Michigan, researchers have developed an exciting new tinnitus treatment that has been making headlines around the world. The treatment involves an experimental new device that delivers small electrical pulses along with carefully timed audible sounds to calm overactive neurons in the Dorsal Cochlear Nucleus, a region of the brain previously implicated as playing a major role in the phenomenon of tinnitus. News of the study results have gone viral over the last week, but it’s important to keep in mind that the research is still in its early days, and there are significant hurdles to overcome. For example, the study focused on a specific subset of tinnitus patients who can alter the sound of their tinnitus by flexing/clenching their jaw, moving their tongue, or flexing neck muscles. 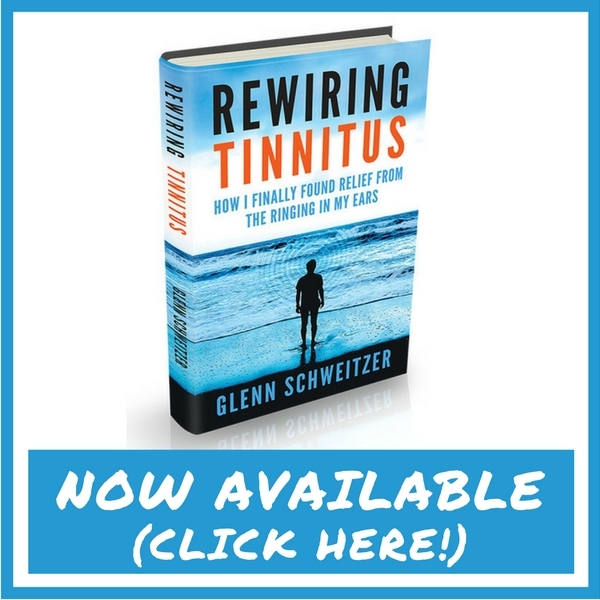 And more importantly, while many participants did experience a reduction in volume (or total remission in several cases), everyone’s tinnitus came back within two weeks of stopping the treatment. Luckily, they are working hard to address these shortcomings. The next clinical trial is set for early 2018 and the study will receive funding from the NIH Brain Initiative. One of my goals for 2018 is to start going live on Facebook and YouTube on a regular basis. I’ve done this occasionally in the past, but not nearly as much as I originally planned. So I’m making a concerted effort to do it more often! In the meantime, I recently held two spontaneous live question and answer sessions on the Mind Over Meniere’s Facebook page and it was a hit! I got so many great questions and ton of wonderful feedback. Make sure to follow the Mind Over Meniere’s Facebook page to be notified when I go live! Most of you know that I’m endlessly fascinated by CBD. I’ve been talking about a lot lately, and I know that many of you are finding it helpful as well. Recently, I came across an interesting new way to consume CBD: by infusing it in food and drinks. Now in most cases, taking CBD orally is less effective than vaping and sublingual administration largely because it’s less bioavailable. In other words, less CBD actually enters into the bloodstream. It also takes a bit longer to kick in. But oral administration of CBD has one major benefit over everything else – it lasts much longer. Plus, cooking with CBD seems like it would be a lot of fun! So today, I want to share two awesome CBD hot chocolate recipes I found. I know that chocolate is a trigger for many of you because of the caffeine, so exercise caution. But if you can tolerate small amounts of caffeine, then I hope you enjoy these delicious and incredibly relaxing hot chocolate recipes! Many of you know that staying well hydrated is an important part of the lifestyle changes that are known to help Meniere’s patients. It’s not so much that drinking water improves Meniere’s symptoms, but that dehydration is a trigger for most people. It’s also something that many of us overlook. So I wanted to share something that I do every single day to increase my energy levels and fight back against brain fog. Every morning, as soon as I wake up, I drink a full 500ml water bottle all at once (about 2 cups of water). It’s that simple. Whether you realize it or not, you’re dehydrated when you wake up in the morning and immediately drinking a bunch of water solves the problem. It also helps with sodium tolerance. Sodium is a trigger for many of us, but what you might not realize is that it’s fluctuations in sodium concentration that cause the problems. When you’re dehydrated, consuming sodium will spike your sodium concentration levels to a much greater degree than when you’re fully hydrated. You shouldn’t expect miracles here, but give it a try! It’s an easy lifestyle change that I’ve found it be incredibly helpful! That’s all from me for today! Wishing you all a spin-free week!